Business applications or enterprise applications are popularly used in present times in corporate environment. Enterprise apps are large apps and become scalable, user-friendly, and data-centric as well as deliver great advantages to enterprises. With advancements in mobile app development technology, enterprise apps become popularly used by the small, mid and large sized businesses to streamline their critical processes and enhance efficiency. Based on the need of your business, you can plan to develop an app that delivers profitable outcomes with definite growth. It not only helps in increase employee engagement with an organization, but also boosts customer satisfaction, defeat rivals, improve decision-making process, boost productivity as well as proffer many more benefits. Enterprise Resource Planning App (ERP App) – This app helps you to incorporate all systems of your organization to access the data as and when require. In large organizations, where there different departments, such as sales, purchase, export, account, and others, with an efficient ERP app, it becomes the ease for top management to make their IT operations up-to-date. Content Management (CMS App) – It gives ease in managing different types of content including documents, presentations, product information, and many other data. CMS makes easy to manage and administrate bulk content. CMS becomes a basic necessity for every business in recent days. Customer Relationship Management (CRM App) – In order to deliver better service to your customers, CRM app helps your company in simplifying the work of sales and marketing team. In order to boost marketing activities as well as getting the response of customers or giving instant feedback, CRM app helps in increase proficiency of your customer relation department. Order Management App – It helps in keeping complete track of order system from its inquiry stage to successful delivery of products to customers. This order tracking helps in giving quick feedback of customers’ inquiry. With different criteria, you can get instant reports based on your requirement. It simplifies the task of sales and marketing team and enhances their performance with easy access of data, especially when they are in the field. There are several other types of enterprise apps used by the organizations such as Human Resource Management (HRM App), Financial App, Export Sales App, Billing App and many more based on bespoke needs of companies’ internal operations. Developing a customized app based on the precise need of your company helps you in many ways to overcome challenges. With an enterprise app such as ERP, it makes management easy to get instant reports anytime from anywhere that not only helps them to accomplish their task efficiently, but also helps in taking the right decision without any delay. Integration of your system with an enterprise app helps to make your complete system up-to-date and get MIS reports or other financial details instantly. No matter, type of your business, you can hire an expert enterprise app development company, who can comprehend your business need and develop an app that precisely meet changing needs of your business. 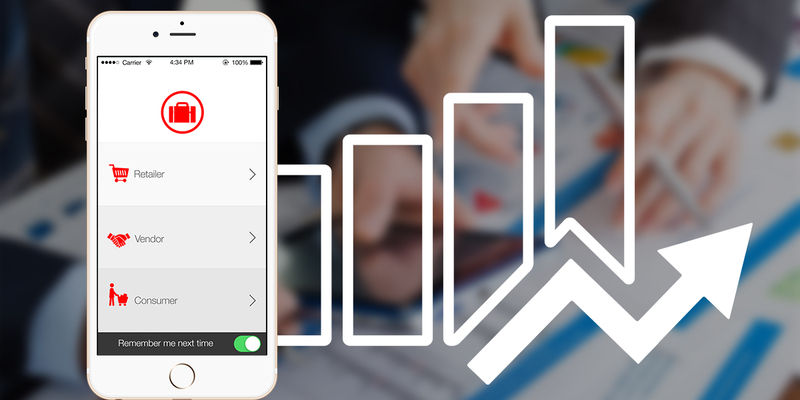 Understanding future growth in mind, a well-developed app by a professional and experienced mobile app developer can give your business complete return on your investment. It offers advantages of better business operations. With increase in the number of mobile users in the workplace, it enhances work performance of employees while they are on the move. Nowadays, businesses totally rely on software applications and other automated tools for their internal processes, whether it becomes data analytics, customer relation, communication, billing as well as communication within an organization, business network and customers. An enterprise app become an excellent solution that work as a centralize interface. Besides, it optimizes utilization of existing resources using efficient integration. Depending on different software systems to streamline your business processes becomes costly and time-consuming matter. Creating an app that works as a bridge for your existing systems carry out a gap between your employees, data and management as well as systems. Another reason that has increased trend of an enterprise app is that it has given mobility to complex business processes and enable to access data from any site locations and make the work culture flexible. It has augmented the interest of employees in their work and reduces their workload and duplication tasks. It helps in making data management operation effective and trouble-free. Based on one survey, there is approximately a 731% rise in activating custom apps in the last year as top management prefers a complete organized mobile strategy. Creating powerful mobility tools help organizations to compete the critical market challenges and its rapid changes. With simple plug-and-play solutions which helpful for even layman having no technical knowledge can easily operate and serve the complex tasks. Thus, such mobile based business application takes companies to go forward with flexible options. The success of any enterprise app completely depends on how efficiently it designed and developed. It becomes necessary to find a knowledgeable and reliable mobile app development company having a team of skilled mobile app developers with in-depth understanding in system architecture and development process for different mobile platforms. With changing global trend, swift growth in utilization of enterprise apps has given new horizons to small, medium and large sized businesses to grow quickly by streamlining their processes. Any enterprise app designed for bespoke need of an organization gives booming outcomes, if it is designed by the expert mobile app development company having proficiency to comprehend the in-depth need of your business, latest mobile technology, and future trend to implement an app.